Moneyhealth? Moneymedical? Doctormoney? Healthball? Yeah…Healthball. 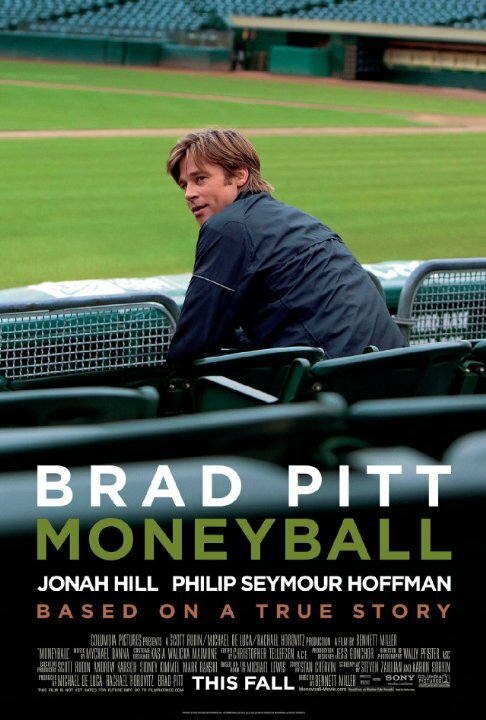 Last week I finally ended up watching the movie Moneyball, the 2011 movie detailing the pioneering efforts of Oakland A’s GM, Billy Beane’s to use Big Data to assemble a comparatively low cost, but winning team in professional baseball. I know I’m clearly 4 years off from any fresh discussion of the movie so don’t worry, I won’t be calling you up to talk about the movie. However, I did notice some interesting takeaways from the story that are highly relevant to the healthcare industry as it stands today. The term “Big Data” didn’t actually come up once in the movie and I assume it didn’t come up in the book the movie was based on either. Instead, they used the term sabermetrics which is a take off of the acronym Society for American Baseball Research. The point of sabermetrics was to empirically analyze all of the relevant metrics of player performance during games in order to answer objective questions and to me this sounds a lot like what people want to happen in healthcare in terms of measuring provider/hospital performance. The key phrase in that last sentence is “relevant metrics” as the method puts into question the relevancy of commonly used metrics like Runs Batted In (RBI). I’ll take this opportunity to note that sabermetrics asks specific questions of the data looking for specific answers and not just comparing the data to various models to see if anything matches. The idea is not to collect a bunch of data and then just see what the data tells you about itself. That’s commonly called fishing, and as I’ve stated before, it isn’t exactly a sound method. [Spoiler alerts for the movie/book and also, you know, history contained in this paragraph] How does sabermetrics relate to healthcare and for that matter, does it even work? To answer the second question first: Yes, in the short term. It accomplished the goal of putting together a winning team on an MLB shoestring budget. Billy Beane, with the analysis of his assistant Paul DePodesta was able to assemble a team nearly devoid of expensive all-stars by focusing on acquiring players and placing them during game play based on how consistently they performed in according to sabermetrics. The team achieved a 20-game winning streak in 2002 which hadn’t been achieved in the American League in decades. Naturally, the pioneers were decried as ruining the game, but it appears that every team in MLB today now uses these methods to some extent. And that’s why it only worked in the short term. They had new and helpful information that no one else had. Once everyone started using the same information though, the playing field was leveled again. If sabermetrics were applied to healthcare, there would be one major difference: a hospital organization or provider and their support team isn’t directly competing against another for “wins”. Sure, healthcare organizations compete for patients and some providers compete to get in those airline magazines listing them as a top doctor, but that’s mostly unrelated to this discussion. Instead, the competition is between the provider with their team of support staff** or a hospital and the patients that come to visit them. The “wins” for the provider and their team happen when patients are treated appropriately. Therefore the opposing team, AKA a patient, is never going to be interested in applying a statistical analysis to compete against the team trying to appropriately treat them. This is of course excluding those few patients who make it feel like they are actively working against their provider and team. Regardless, if we an statistically match patients with their conditions to providers and their teams based upon what they are best at we may start to see some dramatic improvements in care. The problems with this are two-fold. One, we probably aren’t gathering the correct metrics at the moment. Unfortunately, human knowledge probably knows considerably less about preventing and treating disease than we do about baseball if we compare the total percentage of what we know about baseball and what there is to know to the same ratio of health knowledge. Still, through Meaningful Use and other programs, we are gathering things like the Core/Menu Measures and the Clinical Quality Measures. However, what these measures do not tell us is how providers and their support teams stack up against various demographics. Do we know if a team is better at treating diabetes in males vs. females? How about stratified by economic status or other disease complications? How about who gives the most well rounded treatment for the lowest cost to either the patient or the healthcare organization? Most likely because of patient privacy considerations, we don’t know much of anything about the competition. So instead of getting statistics on how providers operate during game play against specific situations, we’re only getting their end of the season numbers. The second issue is that we can’t trade providers like we do baseball players, nor can we send patients to the most statistically compatible provider for them. Geography and the lack of million dollar contracts for both teams stymie this. However, as telehealth becomes more acceptable (and hopefully it will also include much more asynchronous communication with it) perhaps this second issue can be mitigated. Understandably, we’d probably have to come up with a different name than sabermetrics for a Moneyball system applied to healthcare, but isn’t this quite a bit better than what healthcare data analytics companies are currently promising? Admittedly, just limiting an analysis to quality of care might not be that intriguing to an individual healthcare organization’s bottom line, but from a population health perspective the incentive to get to a system like this should be drool-worthy. This is what healthcare IT should be building: a system where healthcare teams can play to the odds, not against them and rack up wins more consistently than ever before. Isn’t that the game we want to be playing? **Only evaluating an individual provider an excluding the nurses, PAs, office staff, etc. that work with them is somewhat ridiculous and somewhat demeaning to the additional staff. I have yet to see a provider regularly take on tasks like reminding patients that they are overdue for a mammogram, or doing the patient intake. Providers don’t have the time. That’s what a support staff is for. ← Why Do We Miss The Point With EHR Research?